A vast amount of relevant data is stored in a large number of databases. The next step should be to make this data usable. VX Company Forensic Analytics provides solutions based on the Smart@Data analysis suite, which enable you to collect, store, manage and analyse large amounts of data. It is specifically suited for governmental institutions, municipalities and companies in fraud prevention, security and finance. Our consultants support you in the implementation of these solutions. 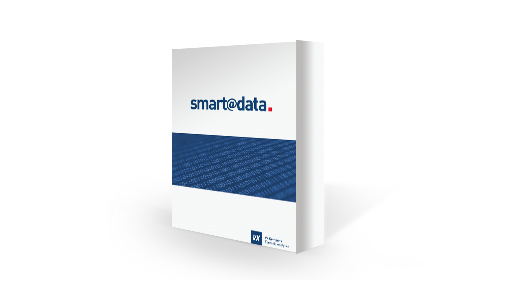 Smart@Data is a software suite specifically aiming at in-depth analysis and profiling of large volumes of data. You can use it to collect, store and manage structured and unstructured data, such as databases, spreadsheets, text documents, social media channels and sensors. Smart@Data allows you to recognize patterns and connections in data. The results are presented in graphic displays and reports. Smart@Data forms the base for the solutions we provide our customers. People who receive social security benefits may commit fraud. The municipality is responsible for monitoring all transactions of their clients to detect fraud in an early stage. VX Company Forensic Analytics, in cooperation with SOZA XPERT and HF Consultancy, provides a system for automated monitoring of anomalies in clients behaviour to detect fraud in an early stage. The ‘Profiling’ solution of the Smart@Data analysis suite is fully equipped to process large volumes of (sensor) data in real-time, from sources such as social media messages and Automatic Number Plate Recognition (automated traffic surveillance), financial transactions, which can be analysed and results can be automatically triggered for follow-up. This solution enables you to analyse large volumes of data from a variety of sources and different technologies. It registers and maps out complex relations, and visualizes data to explore and build knowledge or to apply knowledge in specific investigations. Our consultants have an extensive knowledge on areas like money-laundering, human-trafficking, migration related crime, financial crime and social security related crime and will be pleased to support your organisation with the implementation.